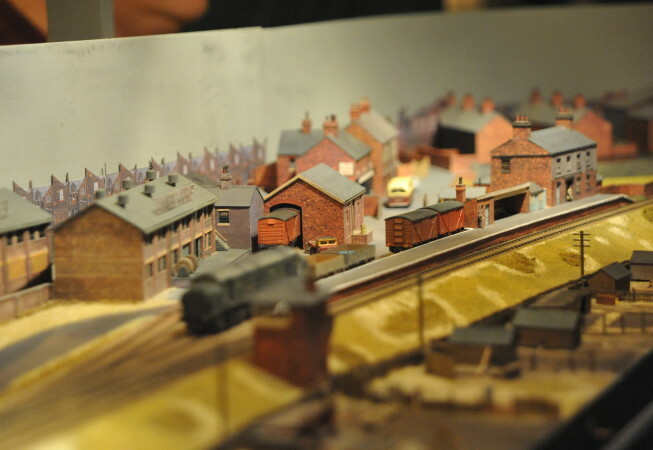 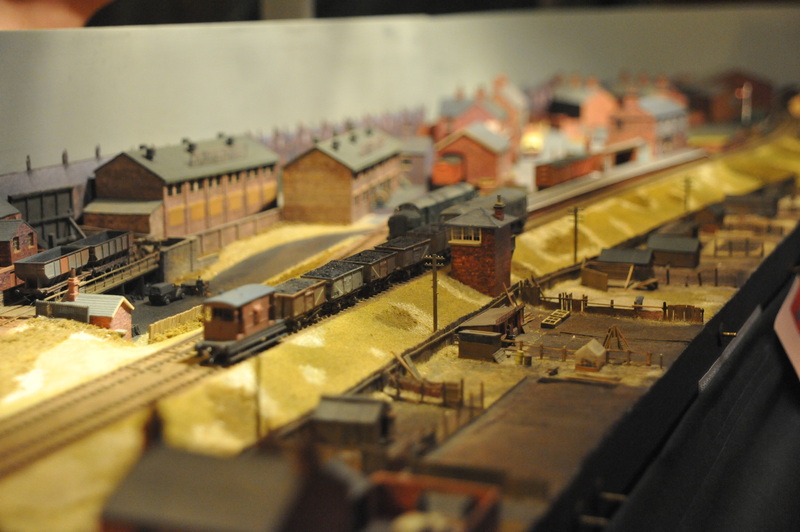 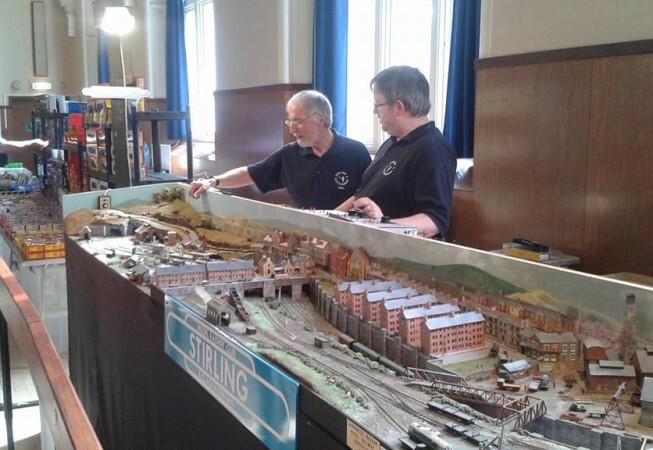 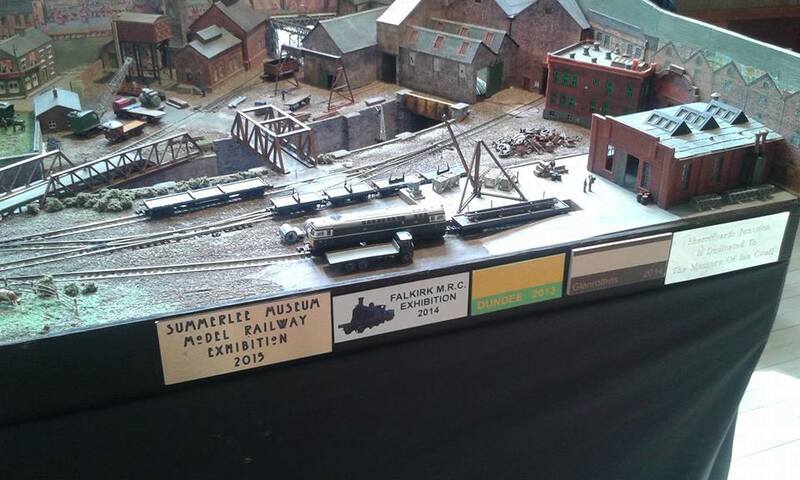 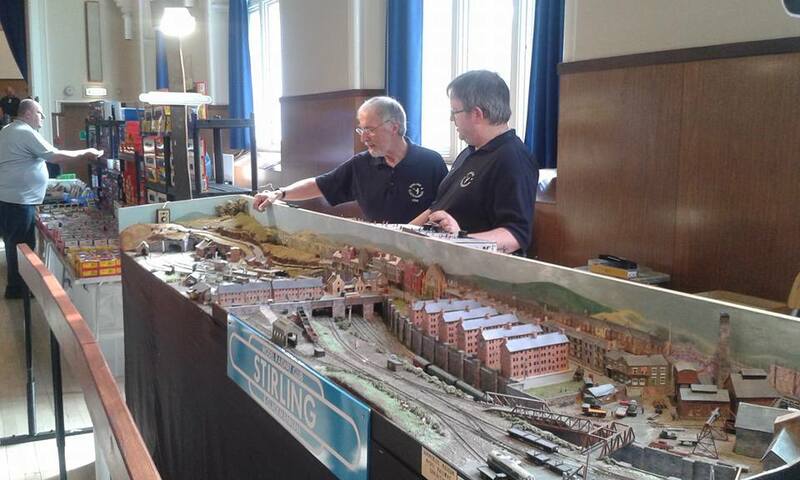 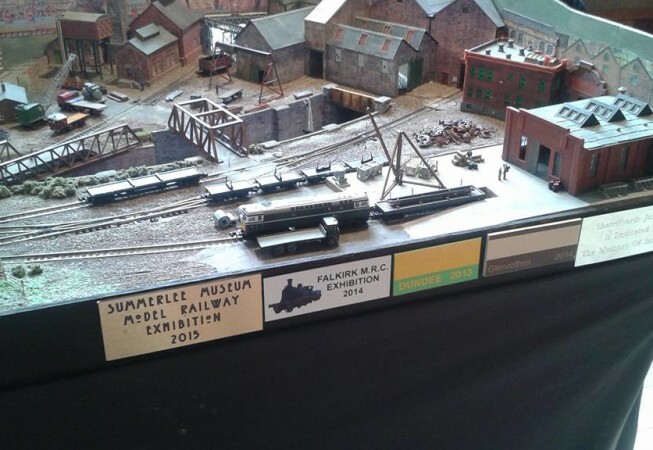 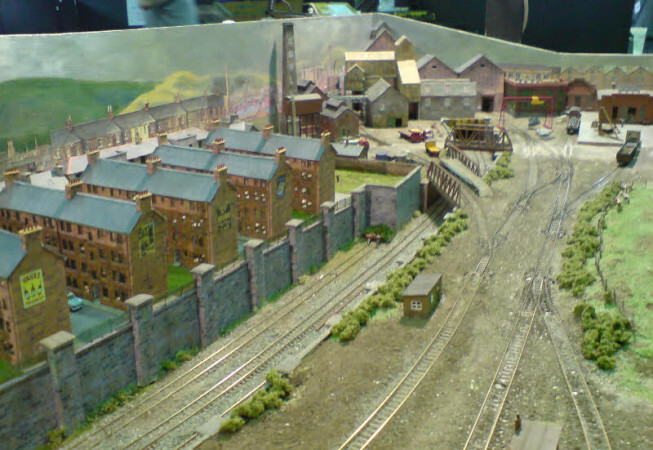 The layout represents a fictional industrial town set in Central Scotland in the late 1950’s and early 60’s. 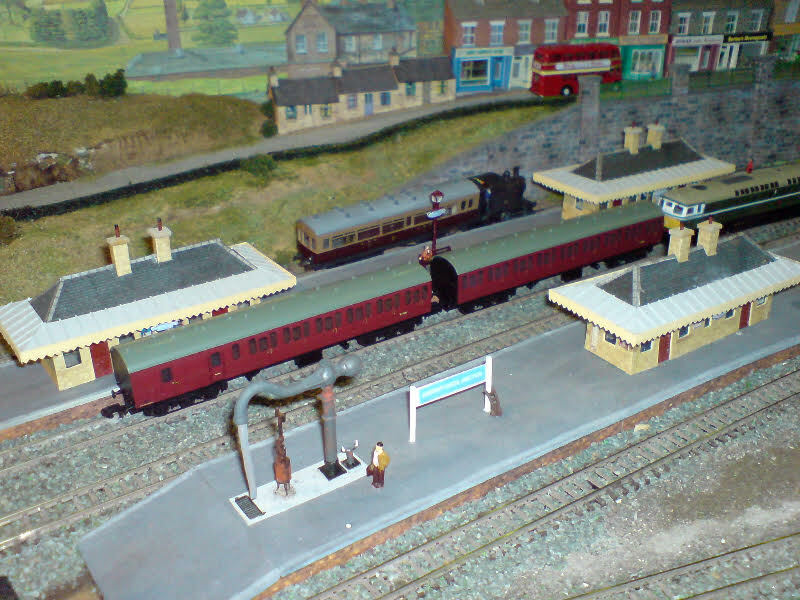 Sheriffyards Junction is where the branch line serving several small outlying communities joins the main line and also where a private railway links the industrial areas of the town to the main line by way of the goods yard. 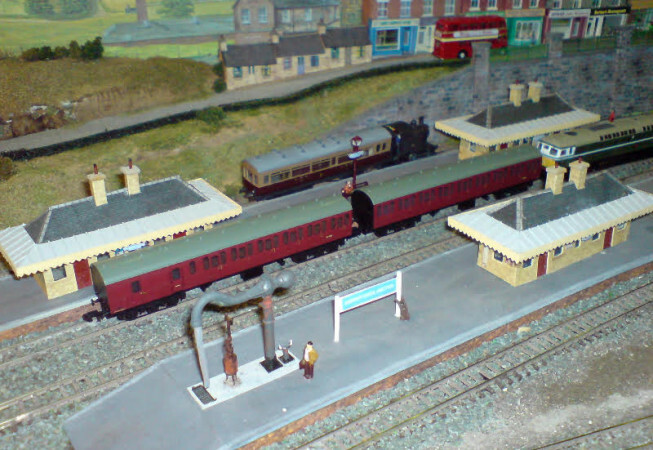 It operates a mixture of fast through passenger and freight trains together with local stopping trains and a push-pull service on the branch line. 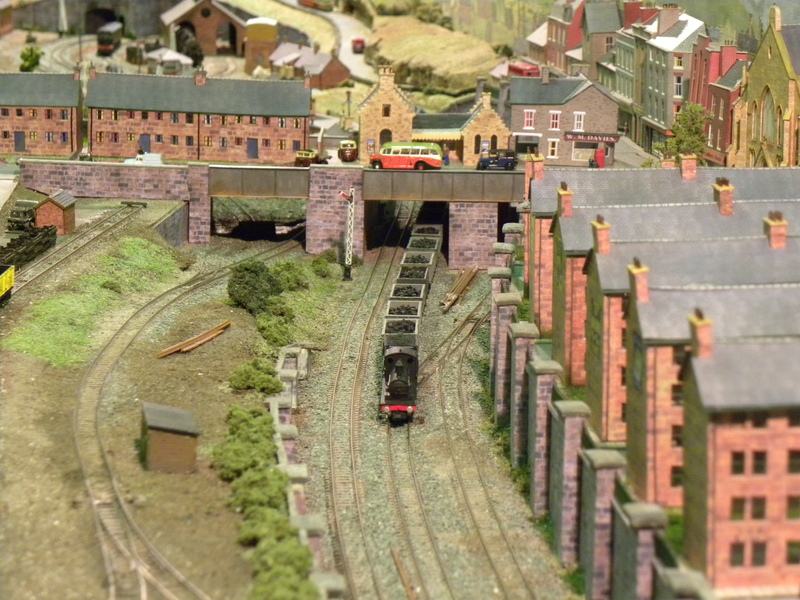 Freight can be taken from the main lines into the BR Goods Yard where it is shunted. 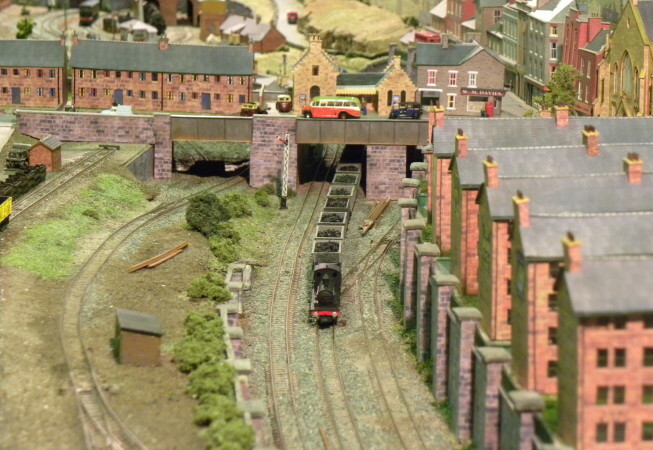 Traffic for the industrial area is moved into a private siding from where it is collected and taken up to the industrial area of the layout by private locos. 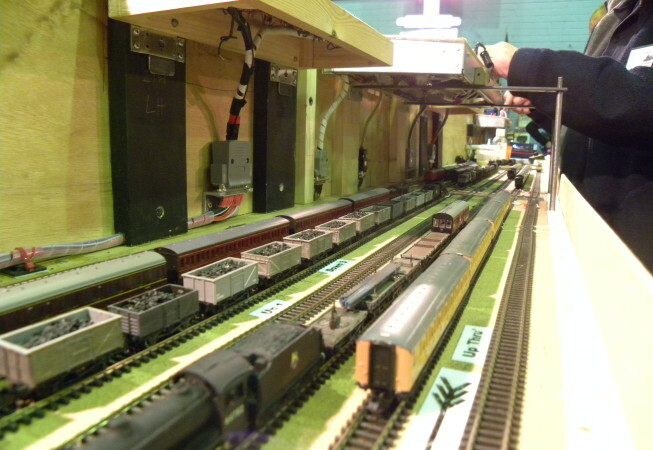 Motive power is predominately steam. 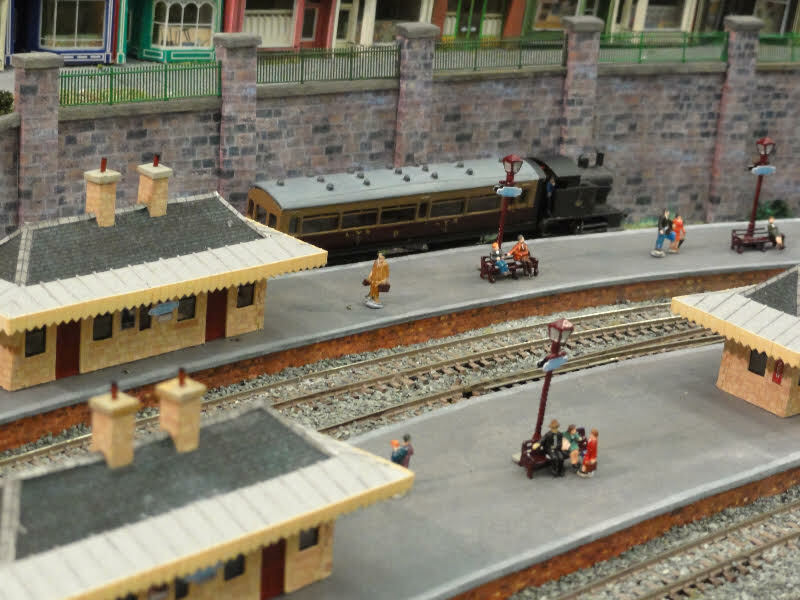 The scenic area is 11′ 0″x 2′ 0″ with fiddle yards 11′ 0″ x 1′ 0″ set behind the backscene. 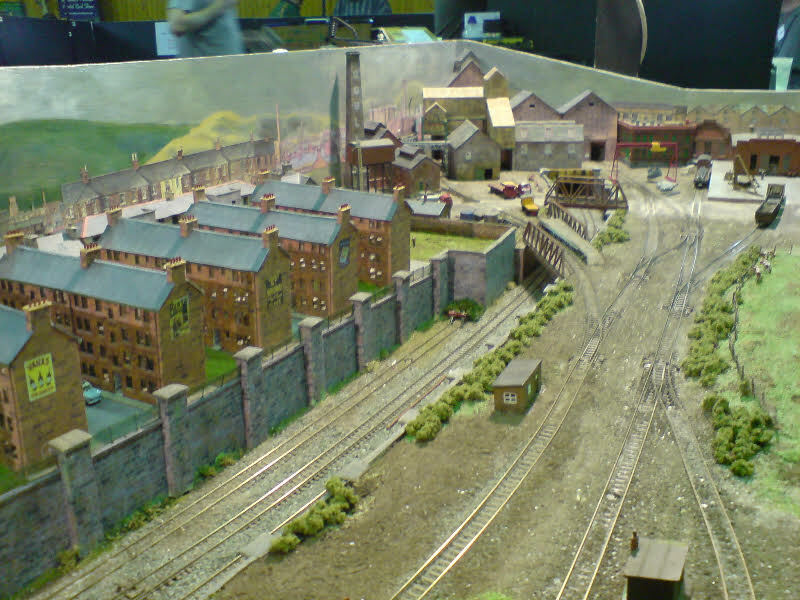 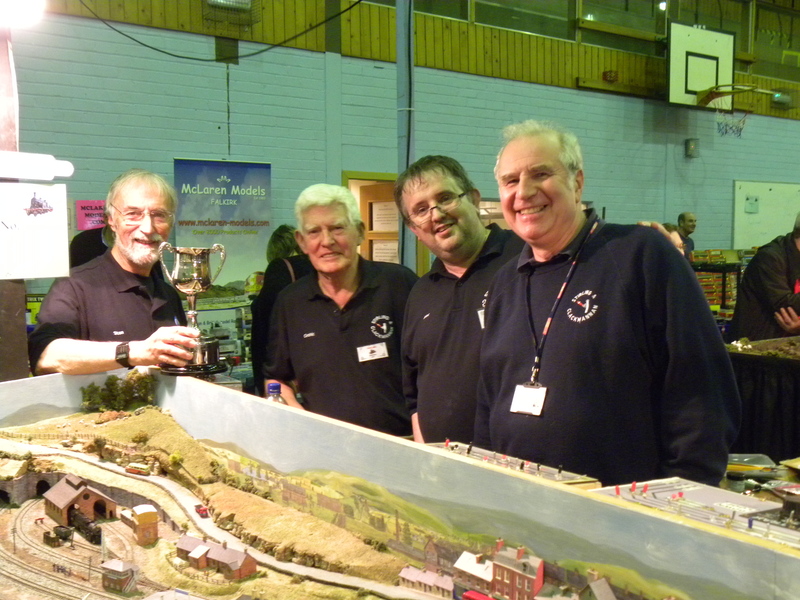 The layout is dedicated to the memory of Ian Coull who was part of the team at its inception but who is sadly no longer with us. 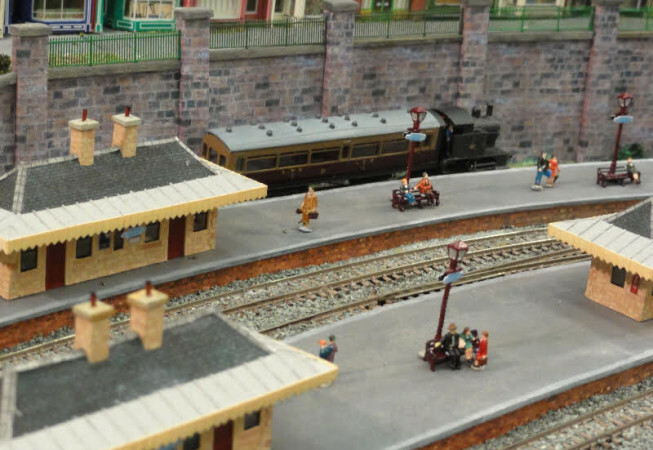 There are several references to him on the layout.